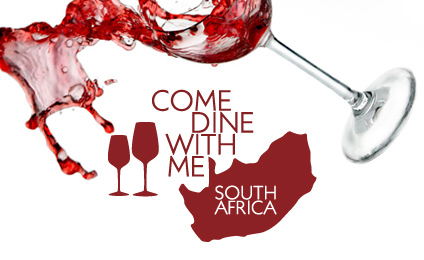 Socks that don’t match, a self-proclaimed street boss, a legal secretary who stoops to sabotage, and a proudly Indian host who doesn’t cook curry make up the final episode of Come Dine With Me South Africa series two. There’s dollops of intrigue, failed menu’s and some truly delightful cooking in store as the final contestants from Johannesburg battle it out for the R5000 cash prize and R5000 worth of Pick n Pay vouchers. First host is legal Secretary Annelize du Preez, a self-confessed spanner-in-the-works who likes to stir things up, outside of a pot. 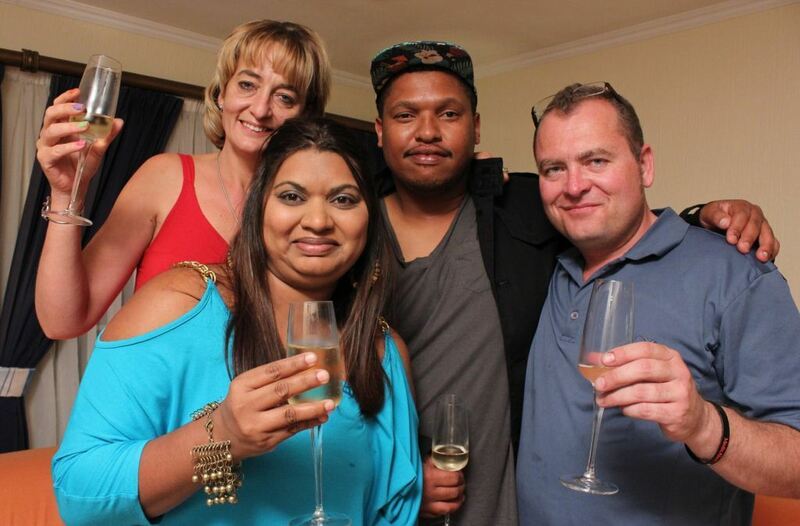 Calm and controlled on her own night, Annelize welcomes the motley crew, and while Mandla Mazibuko, a self-styled street boss of Greenside, and Jillian Naidoo, long-suffering soccer-mom, behave like good guests should, joker in the pack Warren Heroldt is out to grab the limelight, and he does, to their chagrin. Any guest who thought Annelize was nothing more than a dowdy suburbanite is in for a shock as ten minutes in, they find themselves on their knees grabbing shooters off the carpet without hands and downing them. This is what goes on behind the chintz. As if that isn’t enough, facing a barrage of tacky accents, bad mimicry and too much alcohol consumption, the guests suffer a total Warren overdose – and it’s only night one! Street boss Mandla hosts night two where Annelize and Mandla provide an impromptu demonstration of traditional Afrikaans folk dancing, with Mandla adding spice with his own dangerous-looking ‘taxi-dance’ – something Johannesburg motorists relate to instantly! Not to be outdone, Warren’s loss of limelight is regained when he regales the others with stories featuring himself at the centre, and an array of dodgy panto-accents which go down as badly as Mandla’s dessert – a strange mixture of sun-dried mango’s soaked in Balsamic vinegar and topped off with mascarpone cheese. It isn’t the chocolate mousse the menu promised, and his scores reflect his guests’ displeasure! Night three and soccer mom Jillian Naidoo’s turn to host – imagine the disappointment when the guests find out the only Indian contestant in their group is not doing them a curry. Instead offering a delicious lamb shank, the second lamb dish after Annelize’s night, and it’s lip-smackingly good. Not to be outdone by the food though, Warren’s keen to play a game with the decidedly un-tactile Annelize. After irritating her with his constant bear-hugs, this night finds his hand on her knee. Naughty boy! Final night and Warren The Clown’s turn to host. Espetada’s over the fire, alcohol at every turn, accents galore and a heated philosophical debate about non matching socks, all make for a night of craziness, and waiting. Guests were nodding off and Warren’s blender giving up the ghost as he’s making his choc-rum drink dessert, turn the night into a (un)eventful evening. Not even an impromptu dip in the Jacuzzi could break the boredom!